Graciela (Gachi) Tapia (Argentina) is currently a part time consultant in Dialogue, Mediation and peacebuilding at the UN Department of Political Affairs-DPA-, having been a member of the StandByTeam of experts at UN DPA Mediation Unit during 2012/2013. 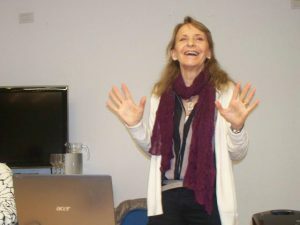 She has 20 years of experience in conflict transformation, having advanced the field in Argentina and Latin America mediating social-environmental conflicts, facilitating dialogues and consensus building across public, private and social sectors and is founder and former Director of Partners for Democratic Change in Argentina, (1998/2006). Since 2007 she is senior expert for several international organizations as, UN, OCHA, UNOMS, UNDP, OAS, International Development Bank, The World Bank, The European Union EEAS, Inter-American Foundation, The Carter Center, MediatEUr, and The Folke Bernadotte Academy.